At their regular monthly meetings, members of the San Jacinto River Coalition heard updates on various issues related to pollution in the waste pits in the river, and in their private water supply wells. In addition, SJRC director Jackie Young brought the latest news from the EPA, and the representatives of the PRPs, or Potential Responsible Parties. Harris County’s Rock Owens, who is managing attorney for the Environment and Infrastructure Practice Group in Vince Ryan’s office, reported to the audience that they had dropped the appeal of the lawsuit against International Paper Company. The county lost this suit in a jury trial, but contended that the trial judge withheld evidence that would have brought a different outcome. Attorney Owens said that their office had decided to drop the appeal because of the unlikely result they could win, and to focus their resources on other environmental problems. Harris County Pollution Control director Bob Allen reported on the next phase in the county’s testing of private well water. He said that they had tested 101 wells in Channelview, Highlands, and Lynchburg, and found dioxin in all of them, but at levels that were considered not a risk to health. He said they now wanted to test the other wells in the area, and had sent out 148 letters and advertised in the local paper, to get consent to test more wells. They will be tested for 17 types of dioxin and furan. He said they know of about 15 wells on the west side of Highlands, and 140 wells in Channelview that might qualify for this additional testing. Information on this is available at pcs.harriscountytx.gov. 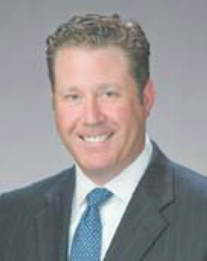 Houston, Texas, Feb. 27, 2017 — HCA Gulf Coast Division President Troy Villarreal today announced that Eric Evans has been named chief executive officer of East Houston Regional Medical Center, replacing Alice Adams, who retired in December 2016. Evans was previously senior vice president of strategic planning for the HCA Gulf Coast Division, where he focused on the development, implementation and management of the division’s overall strategy, as well as the exploration and development of new opportunities across the continuum of care. 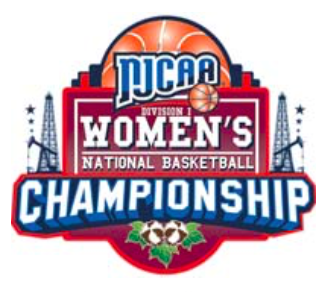 HOUSTON — The San Jacinto College women’s basketball team is going dancing for the first time in school history. The team, ranked 20th in the nation, earned an at-large bid to the National Junior College Athletic Association (NJCAA) DI women’s basketball tournament, the school’s first-ever national tournament berth. San Jac (24-8) enters the national tournament as the No. 16 seed, and will face No. 17 Harford Community College (28-3) out of Maryland on Monday, March 20 at 10 a.m. (CDT). The winner will move on to face top-seeded Gulf Coast State (Florida) on Tuesday at 2 p.m. (CDT). San Jacinto College is led by a trio of players who are averaging double-digit points. Freshman guard Eryka Sidney (Houston / Wheatley HS) leads the team, averaging 12.2 points per game. She also leads the squad in three-point percentage, shooting nearly 37 percent from long range. Sophomores Ariona Gill (Las Vegas, Nevada / Arbor View HS) and Jasmine James (Innisfil, Ontario (Canada) / Nantyr Shores Secondary School) are second and third, averaging 11.2 and 10.4 points per game, respectively. Gill is also the team’s top rebounder at 9.5 per game. 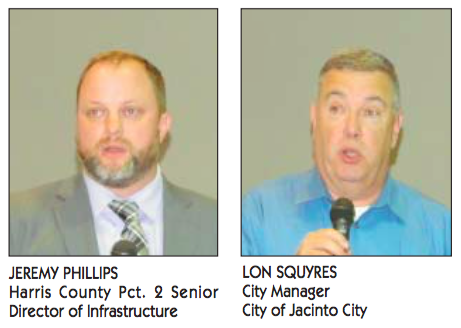 GALENA PARK – The regular monthly meeting of the CIP (Community Industry Partnership) heard from several experts in the building and maintenance of roads and drainage systems in the Jacinto City and Galena Park areas. Speakers for the meeting included Jeremy Phillips from Harris County Precinct 2, and Lon Squyres, City Manager of Jacinto City. Additionally, Galena Park was represented by Officer Drew Scroggins in place of Commissioner Barry Ponder. Moderator Diane Sheridan explained that the theme of the meeting was chosen because people are confused about the multiple jurisdictions that are seen on the roads. She said the goal was to determine who is responsible for construction, maintenance, ditch cleaning, flooding, signage, traffic, and law enforcement. Jeremy Phillips said that Harris County is responsible for Federal, Market, Mercury, Clinton, and Holland with some exceptions. Harris County has six maintenance camps, and is responsible for 1300 miles of road, 50 parks, Washburn Tunnel, and the Lynchburg Ferry. He presented a map to visually show which roads he maintains. Working with TxDOT, he said there will be a new overpass on Federal Road at Industrial starting this year and completed in up to 18 months, costing $4.3 million.